Former Archbishop of Canterbury Rowan Williams triggered a storm of protest when he suggested that some accommodation between British law and Islam's shari'a law was 'inevitable'. His foundational lecture introduced a series of public discussions on Islam and English Law at the Royal Courts of Justice and the Temple Church in London. This volume combines developed versions of these discussions with new contributions. Theologians, lawyers and sociologists look back on developments since the Archbishop spoke and forwards along trajectories opened by the historic lecture. The contributors provide and advocate a forward-looking dialogue, asking how the rights of all citizens are honoured and their responsibilities met. 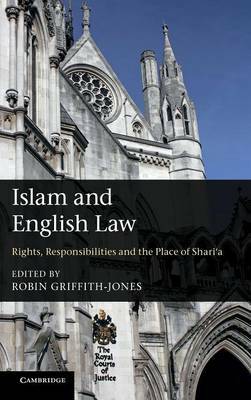 Twenty specialists explore the evolution of English law, the implications of Islam, shari'a and jihad and the principles of the European Convention on Human Rights, family law and freedom of speech. This book is for anyone interested in the interaction between religion and secular society.